If you own a business and have a parking lot, keeping your parking area clean may be essential for the success of your company. Having a clean parking lot creates a great first impression for potential customers and can turn would-be clients into people who want to walk into your store or offices. Most customers simply react poorly to debris, litter and other signs of an unkempt parking lot. There are other reasons to keep your parking lot in great condition, too. A parking lot with debris can pose a risk to cars and to customers walking to and from their cars. In fact, 14% of car damage claims come from parking lot accidents. Keeping your parking lot clean and clear of litter helps keep your property safe for visitors, employees and you. It can help you prevent expensive and time-consuming lawsuits and can show that you and your business are serious about treating people right. To keep your parking area clean, you have the option of hiring a parking lot sweeper service. However, with a parking lot sweeper service, you don’t exert total control over how often or how well your parking lot is cleaned. There may be delays from the time you notice debris to the time that the service shows up. It’s why many businesses choose to invest in parking lot sweepers and scrubbers. Parking lot sweepers allow you to clean your property on your own terms. With your own equipment, your employees can ensure that the parking lot is in great condition all the time — with no delay. As soon as you notice litter, you can make sure it gets cleaned up. Parking lot sweepers can also be a smart investment in your business. In some states, they may be a deductible business expense you can write off. Compared to hiring a service year after year, investing in your own parking lot sweeper may make more sense for your budget. Once you decide to invest in a parking lot sweeper, your investment doesn’t end there. Just like your delivery trucks or personal car, parking lot sweepers require maintenance. You probably take your car in to get the fluids topped up, to get the tires fixed and to get oil changes. Parking lot sweepers aren’t that different — they also work their best with a little care. A regular schedule of maintenance and parking lot sweeper repair helps keep your cleaning equipment reliable. Your parking lot sweepers aren’t likely to help you maintain the best impression possible for your business if they break down. A broken-down sweeper can be expensive to fix, and it can take some time to repair, especially if you don’t have a repair professional on-hand. Your business doesn’t just need parking lot sweepers — your business needs reliable sweepers. One way to keep your equipment dependable is to ensure that your fleet is properly maintained and serviced, so your machine’s always ready to go when your parking lot needs to be touched up. Knowing where to turn for parking lot sweeper truck repair is important to get things running again if there is a problem. A quality parking lot sweeper repair and maintenance service includes repairs when you need it. Bortek Industries, for example, can design a comprehensive program to ensure your sweepers are properly maintained and working correctly — and that you can contact a certified technician if there is a breakdown requiring a repair job. Your business doesn’t have time for downtime — knowing who to call when things go wrong can help save you significant amounts of time, money and hassle. A repair and maintenance service can arrive quickly and can get your sweeper back into service. Regular maintenance protects your investment. If you’ve decided to make the investment in your own parking lot sweeper, regular maintenance protects the money you’ve spent and increases the chances you will get a good return on your investment. Just like you wouldn’t buy a new car and refuse to change the oil or get any maintenance, you don’t want to drive your parking lot sweeper into the ground. Your sweepers may experience fewer breakdowns and will be more serviceable with proper service. If your sweepers do break down often because they are not being serviced regularly, you may have to pay for repairs and an alternative cleaning service until your fleet is functional again. Getting maintenance just makes more sense. Proper service extends the life of your sweeper. If you’re buying a used car, would you prefer to buy from the person who refused to change their tires, top up their fluids or get proper tune-ups? Probably not, because you know that an incorrectly maintained car has a shorter lifespan than one that has been properly cared for. It is the same with your parking lot sweeper. Whether you buy a new or used sweeper, you can get more cleaning from your investment by properly maintaining it and getting it serviced using the right schedule. With proper maintenance, your sweeper will last longer and perform better. Parking lot sweepers will perform at peak productivity levels more easily with regular maintenance and attention. When your machines are performing correctly, your parking lot is cleaner. Your employees are also able to do more with a properly functioning machine — they can usually clean more in less time, meaning your overall cleaning costs are lower and you get a better return on your investment. With a correctly maintained sweeper fleet, your employees may also enjoy a better outlook and job satisfaction, because working with the right equipment makes their job easier. The right schedule for service can ensure your fleet works correctly and gets more done in less time. Do You Need a Parking Lot Sweeper Truck Service? There are over 105 million commercial parking areas in the United States, reports the U.S. Census Bureau. 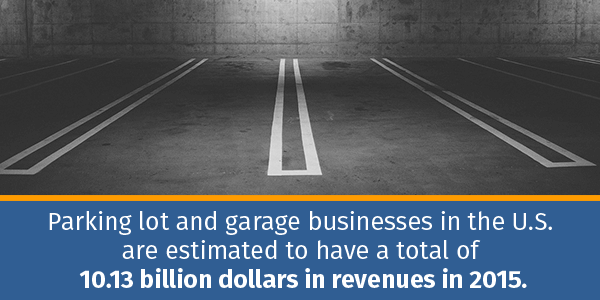 Parking lot and garage businesses in the United States are estimated to have a total of 10.13 billion dollars in revenues in 2015. Investing just a small portion back into quality parking sweeper repair and maintenance allows parking lot and garage businesses — and other businesses — to thrive. With reduced risk of pedestrian and car accidents, a better business impression, cleaner parking area and other benefits, maintenance just makes sense. Bortek Industries has been in the business for more than 40 years, and our focus on sweepers and cleaning equipment means we understand parking lot sweeper service, repair and maintenance. Our professional technicians work with a variety of machines and sweepers, so they can help you figure out how to keep your cleaning machines working at their peak. If you’d like to reap all the benefits of a clean parking lot and properly working parking lot sweepers, contact Bortek Industries. We can talk about your sweepers and your needs and develop a personalized service schedule to meet the needs of your fleet, budget and business. We will listen to your concerns and specifications and develop guidelines our professionals will use each time they come out to maintain or service your machines. By listening closely to you and working with you, we strive to provide you with a service that exceeds your expectations. We want you to enjoy the peace of mind that comes with knowing your cleaning equipment is working correctly and will be maintained according to your needs. You own a series of parking lots and have a dedicated fleet for maintaining them. If you own a series of parking lots or garages, providing the safest and cleanest parking lot areas is your business. A proper maintenance and repair schedule can ensure your parking lot always looks its best and you have the best chance of enjoying good profitability. Few people want to pay to park their cars in a dirty parking lot, and poorly maintained sweepers can mean it takes you longer and costs you more to clean the same area. You have faced a legal battle, and you want to to show you are serious about pedestrian and car safety in your parking lots. If you have faced a lawsuit in the past due to debris or litter that has led to an accident, hiring a sweeper maintenance service for your fleet ensures your parking lot is safer and shows you have made a new commitment to safety. You are in an industry where cleanliness or a professional image is essential. If you are in the cleaning business, are an attorney or are a professional in any field, a clean parking lot is part of your image. Properly maintained sweepers and scrubbers ensure you project the image you need to put forward in order to succeed. Your business is located in an area where debris and litter are an issue. Some areas simply attract more litter and debris than others. For example, if you’re in a large urban center, you may find that debris and litter find their way to your parking lot with some regularity. If you live in a four-season climate, autumn leaves and other seasonal debris can end up in your parking area. Properly maintained sweepers can help you take care of these problems more efficiently. You have just made a significant investment in a used or new sweeper for your company. If you have purchased a new sweeper, proper maintenance and service can help you make the most out of your investment, help the sweeper last longer and ensure that the warranty on it stays valid. If you decide to resell your sweeper at some point, a proper maintenance schedule can help you get the best resale price for it. If you have purchased a used sweeper, proper maintenance can keep it working at its best, even if it is an older model, and can ensure you get the maximum life out of the vehicle. Your business owns a street sweeper, scrubber, street scrubber, parking lot sweeper or sweeper. Parking lot sweeper services aren’t just for sweepers. If your fleet includes a street sweeper, a street scrubber, a scrubber or any other type of cleaning equipment, proper maintenance and service is essential. You have a high-traffic parking lot area. 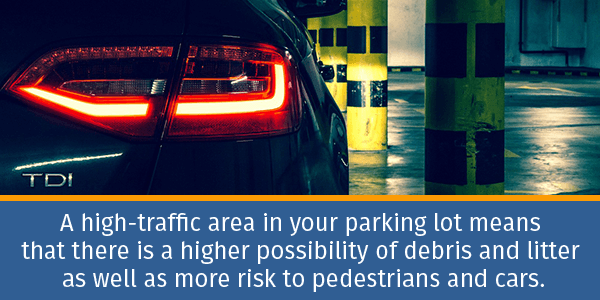 A high-traffic area in your parking lot means that there is a higher possibility of debris and litter as well as more risk to pedestrians and cars, simply because there are more of them. Keeping your fleet properly maintained means your cleaning crew can clean more efficiently and quickly, getting out of the way of incoming pedestrians and cars while keeping the parking area as clean and safe as possible. We create customized cleaning solutions. No two parking lots are the same, and no two sweeper fleets are identical, and Bortek Industries recognizes this. We don’t just offer cookie-cutter solutions designed around a general idea of what you need. We take the time to carefully craft maintenance and service schedules to meet your needs. This way, you don’t overspend on maintenance and service you don’t need, and your fleet won’t suffer because it is under-maintained. You get the right balance and the right schedule for your business. We take your business objectives seriously. At Bortek Industries, we understand that a clean parking lot is just part of the bigger picture. You may need a tidy parking lot to attract customers, provide a professional image of your business, ensure safety for your employees and customers or for other reasons. We listen to your concerns, and we address them with the cleaning, service and repair schedule that helps you meet your business goals. Our technicians are trained and professional. The Bortek Industries team is a point of pride for us. We carefully search for the most skilled and qualified technicians so our team can provide you with the best service possible. Our technicians are trained to be friendly, courteous, professional and knowledgeable in all interactions. When you contact Bortek Industries to get your fleet serviced, you can be confident that you’re in good hands. Everyone on our team works to bring a personalized and human touch to every interaction. From the friendly personnel on our phone lines to the technicians who show up at your door, our team is committed to treating you as a valued customer and offering you the personalized and warm customer experience you deserve. We provide the expertise so you can reap the benefits. With more than 40 years of cleaning equipment expertise, Bortek Industries experts know a thing or two about cleaning equipment. We understand that’s not true of everyone, which is why we are always happy and eager to share our expertise with you. You can leave your fleet maintenance and service to us while you focus on your areas of specialty — your industry and your business. We have the information you need, and when you contact us, we’re always happy to discuss your questions, provide answers and review the solutions that may be right for you. With huge distribution facilities, large service facilities and a big team, we can offer service on all major brands because we work with all major brands. We also have the parts for all major sweepers and scrubbers, which may mean fewer delays if a specific part is needed for a repair job. Since we’re a large company, our service vans are fully stocked, meaning our technicians arrive with everything they need. In fact, our large team can handle any sort of job, from a minor oil change and tire tune-up all the way to a major rebuild of your sweepers. If you’re ready to make your parking lot sweeper fleet efficient and your parking lots sparkle, contact Bortek Industries for repairs or to speak to one of our team members about setting up a service schedule.